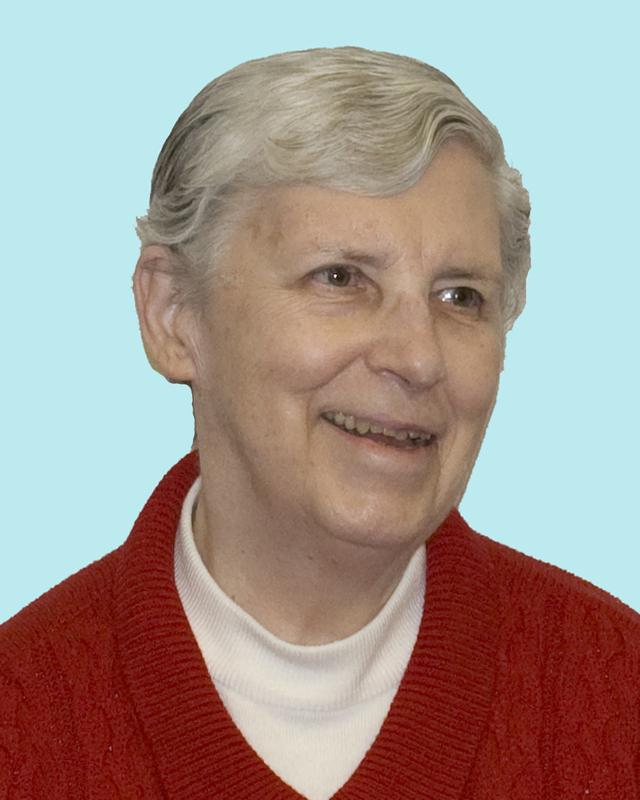 On the Feast of Epiphany, January 6, 2016, Sister Honora died at 4:10 pm at Phelps Memorial Hospital. She was 81 years old and had been a Maryknoll Sister for 59 years. She was a true daughter of New England and upheld those values all her life never losing her accent. Honora was born in Worcester, Massachusetts on November 7, 1934. She was an only child, the daughter of Dr. Frank Zurwell and Lucille Goodness Zurwell. Her father was a dentist. When Honora’s father died and her mother married Henry Felix, Mr. Felix legally adopted Honora. Honora’s early schooling was in the Attleboro, Massachusetts public school system. She was a member of the National Honor Society of Secondary Schools. After high school, she enrolled at Trinity College in Washington, D.C. where she majored in History and Government graduating in June of 1956. All her life Honora was ever a scholar. Learning was her hunger. She entered Maryknoll from St. John the Evangelist Parish in Fall River, Massachusetts on September 2, 1956 along with 74 other candidates. At her reception, she was given the name Sister Christiana Maria. She made her First Profession of Vows on June 24, 1959 at the Motherhouse and her Final Vows on the same June date in 1965 in Panama. In 1959, she worked with Sister Maria del Rey in the Publicity Department at The Center. She went to Guatemala in 1960 for language study and in 1961 she was assigned to Yucatan, Mexico to teach in our school in Merida. In 1963, Honora moved to Ancon, Panama to do catechetical work and to teach with our Sisters at Colegio San Vicente. Honora joined the teaching staff of Colegio Monte Maria in Guatemala City from 1967 to 1982. When her mother’s failing health became evident, Honora volunteered for Congregational Service in Data Processing (1982-1987). Full time Family Ministry became Honora’s work from 1988 until her mother’s death in 1992. Sister returned to Congregational Service in 1992 for one year as Manager of the Data Processing Office and then returned to Guatemala in 1993. Honora began a new ministry in Guatemala, Mesquital, a settlement near Colegio Monte Maria, in a new parish, Dios con Nostros (God- with-us). There she engaged in home visiting and catechetics. Due to diminishing health, Honora returned to The Center in 2004 and worked as Office Assistant for the Eden Community until 2012 when she retired. Honora was strong on social justice and while at the Center in 2007, she wrote asylum petitions on behalf of Guatemalan young men on the verge of being deported. She also contacted lawyers giving counsel on the violence and threats she knew of concerning the specific young men she was trying to help. Sister was an active member of the Father Cotta Group. For her Prayer Ministry Honora had chosen Guatemala. We welcome as celebrant to our Eucharistic Liturgy Maryknoll Father Joseph La Mar, MM.